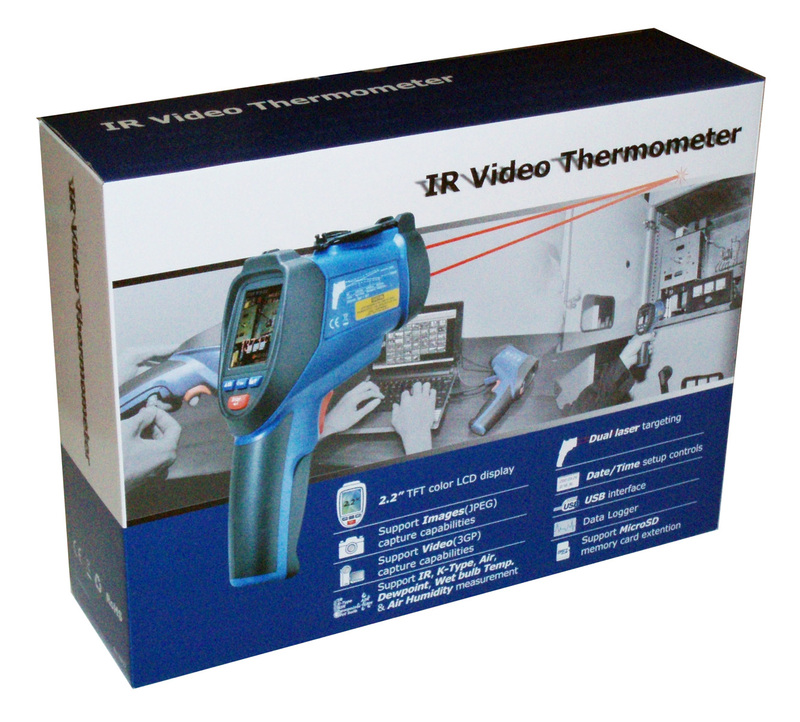 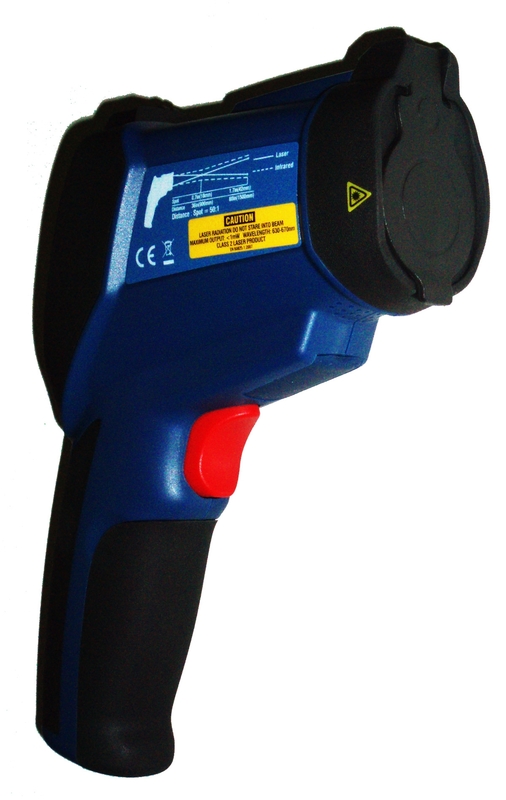 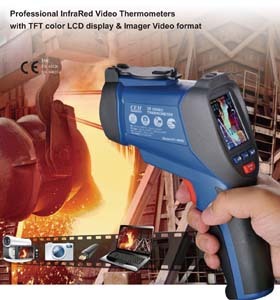 This is a brand new CEM DT-9862 certified top-of-the-line digital non-contact infrared thermometer from Ruby Electronics. 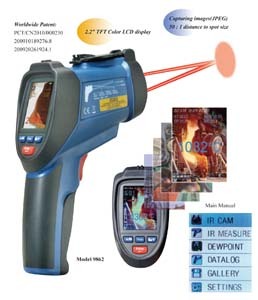 This device comes with built-in dual laser pointers, back-light LCD display and digital camera. This top-of-the-line device has a super narrow 50:1 distance to spot ratio and a wide range of -58 oF to 3992 oF (-50 oC to 2200 oC). 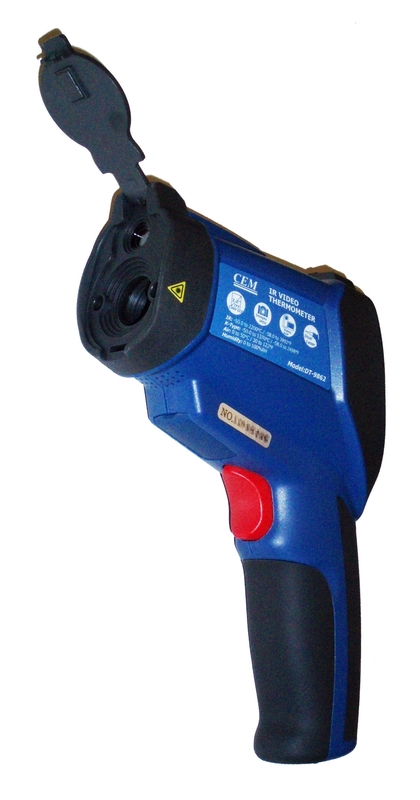 The dual laser pointers help you aim better at the object for an accurate result. 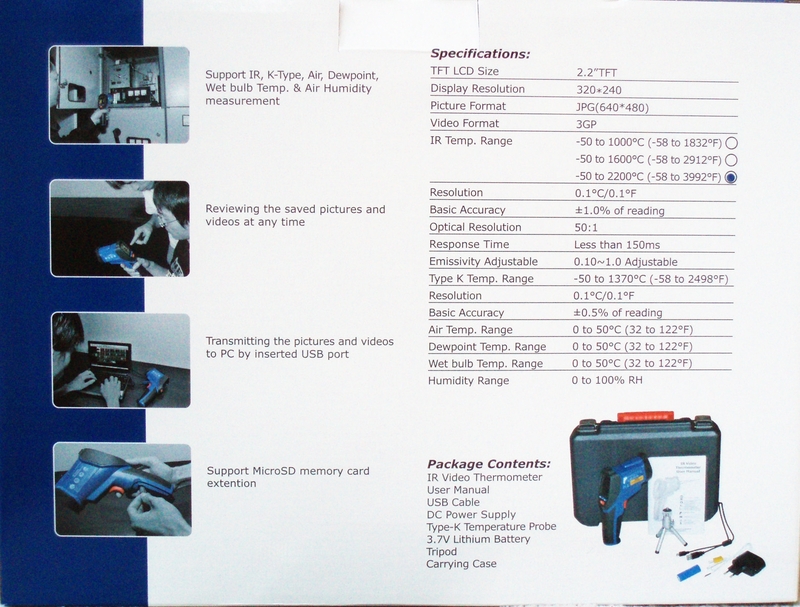 The back light LCD screen allows you to read easily in the dark. 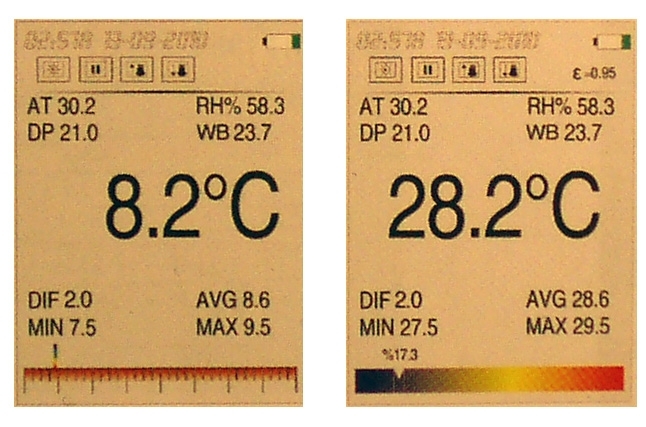 With the built-in camera, one can record and store the temperature readings and other measurements in the MicroSD card (NOT included) for uploading to a computer at a later time. Also included in this device are type-K thermocouple, humidity and air temperature measurement, dew point and wet bulb temperature measurement. 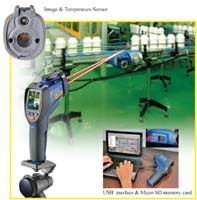 The integrated USB interface and Windows software allow the measurement to be uploaded to your PC with object image or video. 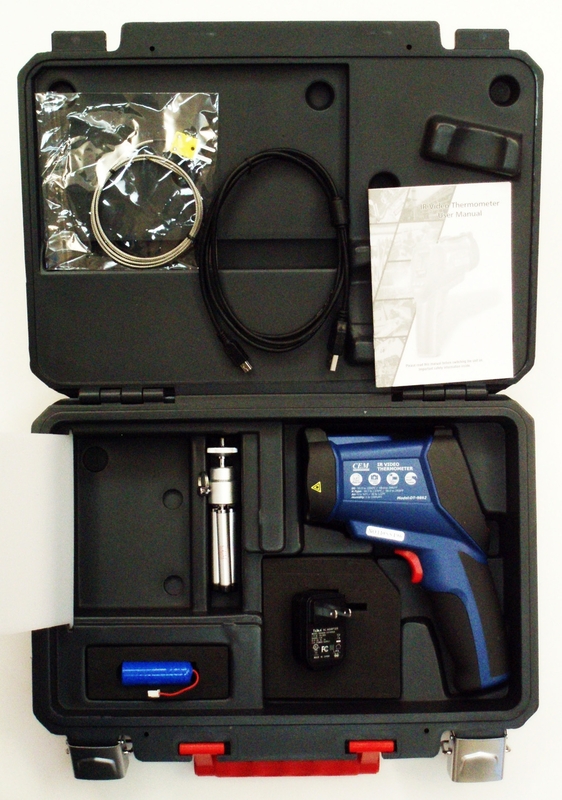 This device also comes with a heavy duty carrying case to protect your device when working in the field. 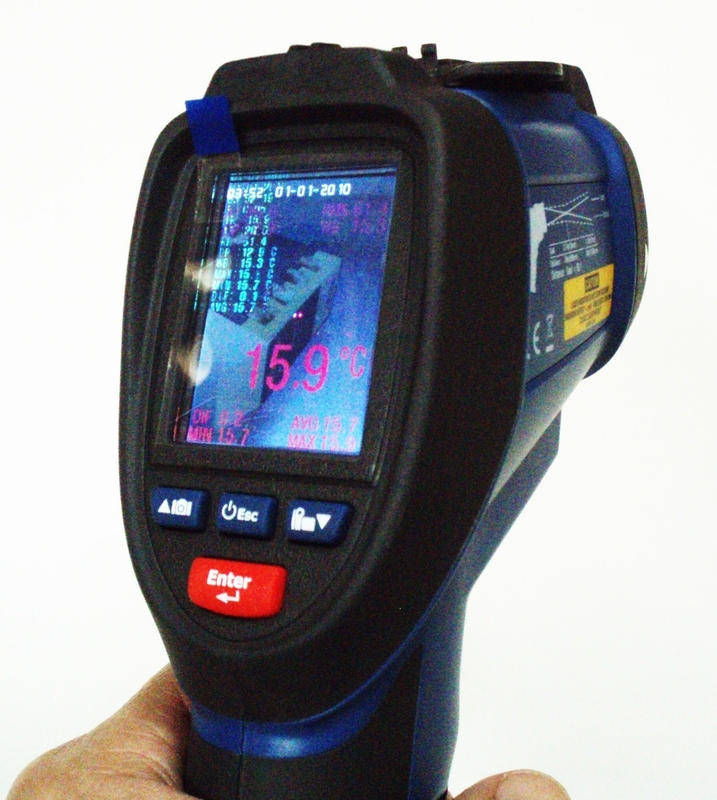 The Type K thermocouple can be use to calibrate the object's emissivity.